DYCLAM+ (Dynamics of Cultural Landscapes Heritage Memory and conflictualities) aims to educate within 2 years (120 ECTS) experts and managers on restoration activities, sustainable exploitation, valorisation and numerical mediation of heritage and cultural landscapes. This study programme meets the needs that are identified by the European Union, the UNESCO, international agencies and local communities. Moreover, by its scientific and technical content, its innovative methodology, its team of high-level lecturers, and its multidisciplinary spirit, Dyclam aims to educate adaptable and operational practitioners, with a high potential of employability. This Master grants a mobility scheme between the University of Jean Monnet in France for the 1st semester, the Polytechnic Institute of Tomar in Portugal for the 2nd semester, and the University of Babes Bolyai in Romania for 3rd semester. 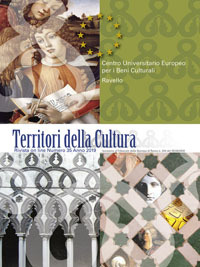 Furthermore, for the 4th semester, students have the choice whether to join the University of Federico II in Italy or to join one of the associated partners, who come from 14 academic institutions from 13 countries (Brazil, Canada, Cape Verde, China, Czech Republic, France, Germany, Haiti, Japan, the Netherlands, Senegal, Spain, the United States) and 10 territorial actors of development and heritage protection (Blue Shield, Centro Universitario Europeo per i Beni Culturali, ICONEM, Institute Terra e Memoria, Herity international, CCIA Sibiu, Edinburgh World Heritage, Boquilobo National Park, the city of Firminy, and the UNESCO Chair on territorial cultural management) . The Master’s capacity can go up to 30 students per year. Granting a Bachelor’s degree (180 ECTS) in Planning, Urbanism, Humanities, Architecture, Engineering, Design, Art, Political Sciences, and Law. The teaching major language is French. DYCLAM+ delivers a joint degree of 3 national diplomas from each country. In addition, depending on the mobility path on the 4th semester, whether the student can receive an Italian diploma or a certificate from the hosting associated partner.